This week’s topic was inspired by a conversation I recently had with Amy Norton of Coffee and Kink. How do you know when it’s the right time to quit your day job and become a full time smutlancer? I wish there was an easy answer, but life is never that simple. This is a really big conversation, and just the three points I chose to focus on took longer than normal. We’ll definitely come back to this topic, and if you’ve got questions, let me know — it might help me know where to begin when we talk about this again. 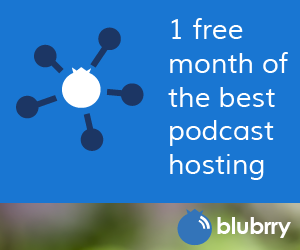 This week’s episode is brought to you by Blubrry, a podcasting hosting solution. This topic comes from a conversation I had with Amy Norton of Coffee and Kink. There is no single correct path to follow to make this decision. Like everything else, the details matter. The idea that you can just leap and you’ll be fine doesn’t work for people with anxiety or those who are risk-averse for any reason — or those with responsibilities and people they take care of. Figure out how much money you really need to live. Decide what kind of work you’re willing to take. Start a side hustle first.